While Thursday night is an interesting night by itself, it often gives you the impression that it is merely a holding day for the weekend. This is definitely the feeling that plenty of people have but if you are looking for some exciting NBA action on Thursday night, you will find that quality rather than quantity is the watch word. There may not be a lot of games to look forward to on Thursday, but there will be a lot of drama. There was also a great deal of drama on Wednesday, with a whole host of teams in action. The Bulls picked up an impressive away win, defeating the Hornets by a score of 95-102. The Celtics haven’t won a lot of games this campaign but they defeated the Pistons in Boston by a score of 109-102. The Spurs slipped to a surprising defeat with the Nets winning 95-93 in Brooklyn. There was also an away win for the Mavericks, winning 105-107 against the Bucks. The Raptors continued their impressive form this campaign, winning in Utah by 104-123. The Lakers continued their poor run of form this campaign, losing in Washington by a score of 111-95. The Hawks had a massive win in Miami, defeating the Heat by a score of 102-112. 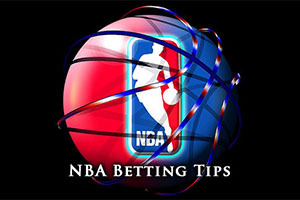 The Rockets defeated the Grizzlies by 105-96 while the Clippers defeated the Magic by a score of 114-86. That is pretty much it for Wednesday night apart from the small matter of the 76ers grabbing their first win of the campaign, winning on the road against the Timberwolves by a score of 77-85. This now means that hey move on to a 1-17 record, and they don’t have to worry about having the poorest start to a season for any NBA team in history. Okay, it is not as if they should be getting carried away with their form just yet, but when you lose 17 on the bounce, winning one game is going to feel very good. The Cavs hold a 9-7 record, with a 3-3 record away from home, while the Knicks are sitting with a 4-15 record, which includes a 3-7 record at home. The Cavs are on a four game winning run while the Knicks are on a losing streak of 5. 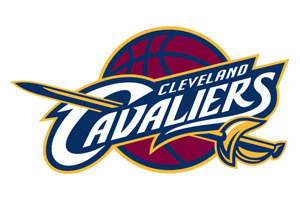 The Tuesday night 111-108 win against the Bucks saw a number of players stepping up for the Cavs. Kyrie Irving offered up 28 points, Kevin Love grabbed 27 points and LeBron James managed to deliver 26 points and 10 assists. Carmelo Anthony delivered 20 points for the Knicks in their 93-98 home loss against the Nets. Jose Calderon also grabbed 19 points, so the Knicks know how to score but they are having problems stopping other teams. Carmelo Anthony is a doubt for the Knicks while JR Smith is being monitored on a daily basis. Matthew Dellavedova may miss out for the Cavs while Anderson Varejao is being monitored on a day to day basis. Taking the Cavs with a handicap of -8 at odds of 1.90 should provide a great start to your Thursday night basketball betting action. Bet Now! The Pacers have a 7-11 record going on, with a 3-6 run of form away from home, while the Trail Blazers hold a 14-4 record which includes a 9-2 record at home. The Pacers have lost their last two games while the Trail Blazers have won their last two matches. LaMarcus Aldridge was in big form for the Trail Blazers on Tuesday when they defeated Denver 105-103. Alridge grabbed 39 points but he also offered up the assist that allowed Robin Lopez to seal the win with 1.3 seconds left on the clock. Indiana have been strong defensively this season but they have struggled on the road of late, and this game could cause problems for the Pacers. Roy Hibbert is likely to be out for the Pacers while the Pacers are keeping a close eye on Will Barton and Damian Lillard. Taking the Trail Blazers with a handicap of -8.5 at odds of 1.90 is likely to be a very sensible bet if you are keen to wager on Thursday night. Bet Now! The Pelicans are currently 8-8, with a 3-2 record away from home while the Warriors hold a 15-2 record, with a 6-1 record at home. This would make you think that the Warriors will take this game easy, and while they have the potential to do so, that isn’t how basketball works all the time. The Pelicans have a winning streak of 1 behind them; the Warriors have a winning streak of 10 behind them! If the Warriors win this game, they will match their best winning streak ever. It is not as if the Warriors were in great form in the 98-97 win against Orlando on Tuesday night but they just about got there. Stephen Curry was in excellent for, grabbing 22 points in total, with 17 of these points coming in the final 24 minutes. There is also the small matter of Curry grabbing a 3 pointer with 2.2 seconds left on the clock. Anthony Davis has been a big player for the Pelicans this season and this was the case on Tuesday night. The New Orleans team got back to winning ways with a 112-104 against the Thunder and Davis grabbed 25 points, 10 rebounds, four blocks and six steals in the match. The Pelicans don’t have any major injury worries but the Warriors have been in the wars of late. David Lee and Klay Thompson have been cited as being absent for the games while Stephen Curry and Draymond Green are being monitored for their injuries. While the Warriors are likely to do the damage here on Saturday, you will find that taking the New Orleans Pelicans with a +8 handicap, and at odds of 1.90 will be of benefit. Bet Now!